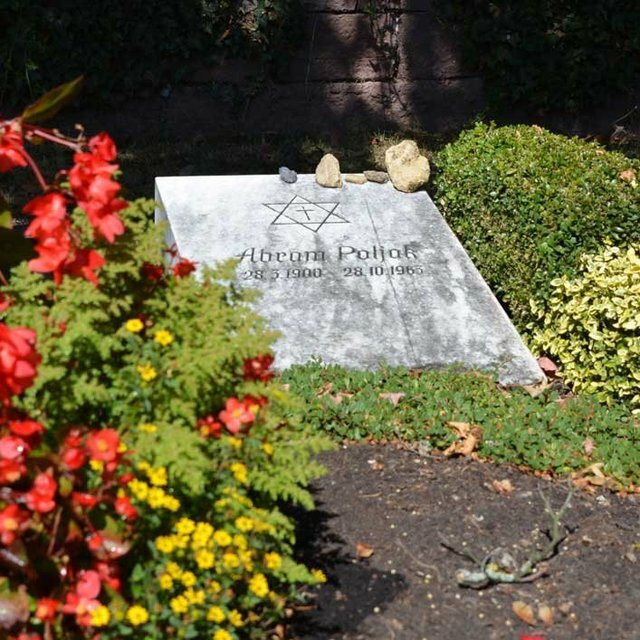 The grave of Abram Poljak, perhaps the most influential visionary for modern-day Messianic Judaism. The first line of Abram Poljak's publication The Cross in the Star of David reads, “A new work dedicated to the Jewish Christian movement starts with this book.” We read his book aloud as we made our way through the windy mountain roads of Germany. The beauty of the countryside in the shadow of the Bavarian Alps made the moment all the more meaningful. His words were like fresh water to a thirsty tongue and deeply inspired us in our faith. Realizing the importance of our journey, we pieced together his life and read his works. Abram Poljak was perhaps the most influential visionary for modern-day Messianic Judaism. He dreamed of the days in which we are now living and attempted to create them by building his historic community in the small town of Möttlingen, Germany. Poljak was an accomplished writer and politician during the rise of Hitler. At one point in his life he was even arrested by the Nazi party for his works and anti-Nazi speeches. Shortly thereafter, he left Germany with his eyes on Israel to escape Hitler’s regime. To be a Zionist is a Jewish duty, which I acknowledge joyfully and happily. That is my Jewishness. Also, my Christianity is a Jewish duty, for the New Testament belongs to the old; they are both one. Jesus is a Jew, our spiritual King, appointed for the fulfillment of Jewish history, the redemption of the Jewish spirit, the revelation of the world’s history begins with the words of Moses: “In the beginning God created,” and ends with that “Amen” in the Revelation of St. John: “The grace of our Lord Jesus Christ be with you all.” With these words, the Jewish Bible closes. Three things compel me: Faith in Jesus, Jewish Christianity [i.e., Messianic Judaism], and the Land of Israel. This triad was the main accord of my soul, and only in this triad was I able to think. Poljak helped with the establishment of the Mount Zion community along with Pauline Rose. Later in his life he returned to Germany to minister to the German people. He felt compelled to share the Jewishness of Yeshua and inspired them in their Gentile Christian identities. He left the land of his heritage to return to a land of death and destruction for the sake of his beliefs and vision for Messianic Judaism and his love for all nations. Today we had the privilege of visiting his grave. We laid small rocks on the tombstone honoring his Jewish heritage and said Kaddish for him. We read the words of our Master Yeshua in the Sermon on the Mount, the very section of the Gospels that first brought a young Poljak to faith. Poljak was unashamedly a holy disciple of our Messiah Yeshua. He has given such light and hope to our movement even today. He saw the depths of this Jewish heritage in the Land of Israel and found the foundations of his faith in the grace of Yeshua, the Messiah to Israel and to all nations. He wrote in his introduction about a new work for Jewish Christianity, a sprouting forth of an ancient faith; without knowing, he dedicated his works to us today. He gave us his story, inspired us by his life, gave us a piece of his courage, and perhaps most importantly gave us a history to rekindle. Just inches from Abram Poljak’s grave, we found the grave of Dr. Agnes Sara Waldstein. While she is far less known than Poljak, she was no less influential. Little is known of her as of yet, and we are still attempting to piece together her life and her works. What we do know is that she held a Ph.D. in Art History and was a very well educated woman and a prolific writer in the Jewish-Christian journal Jerusalem. 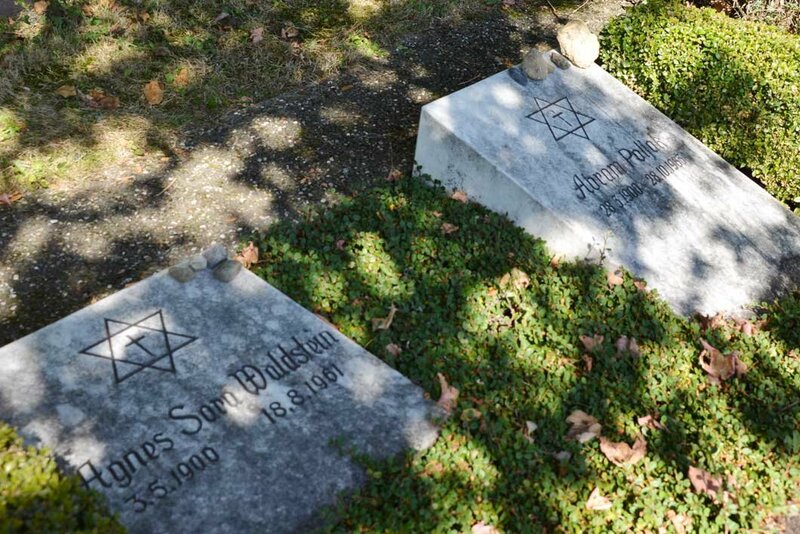 The grave of Dr. Agnes Sara Waldstein, next to that of Abram Poljak. Dr. Waldstein was originally from Sydney, Australia and was one of the crucial members of the Jewish-Christian (i.e., Messianic Jewish) community in Jerusalem started by Pauline Rose and Abram Poljak. 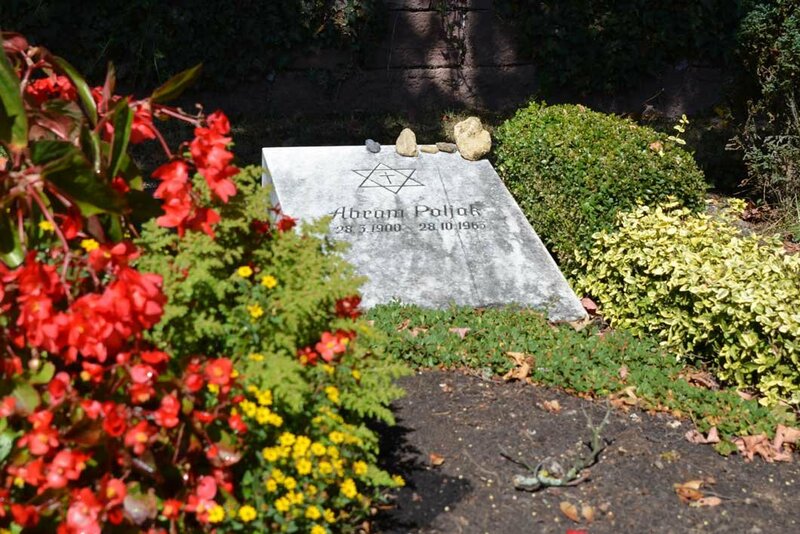 When Poljak returned to Germany after World War II to reconcile Germans and Jews and to start his own community, she followed him shortly thereafter and was an equal co-leader with him in the formation and guiding of their community in Germany. One of the surviving community members recalls how he “sat at her feet and listened to her sermons. She was a wonderful and accomplished lady… She was very likable.” By all accounts, it appears that Waldstein was an equal partner in Poljak’s visionary endeavors. I believe that the Jewish churches will be no churches at all, but synagogues. When the gospel is preached in the synagogues and not only in the churches, then the Jews will have found their King and Jesus His people. This vision was shared and supported by his ministry partner, and together they labored toward a Judaism with Yeshua as the absolute focal point, a Judaism that was not canceled out by Christianity, rather a Judaism that was fortified, deepened, and enlivened by faith in the Messiah. Together they formulated this crucial paradigm, and together they lived it out. If the Bible is based on truth, and if Yeshua is the Messiah and King of the Jews—then the Messianic Jewish movement is the most important event in our time, the symbol of the changing aeon. That, I do believe.